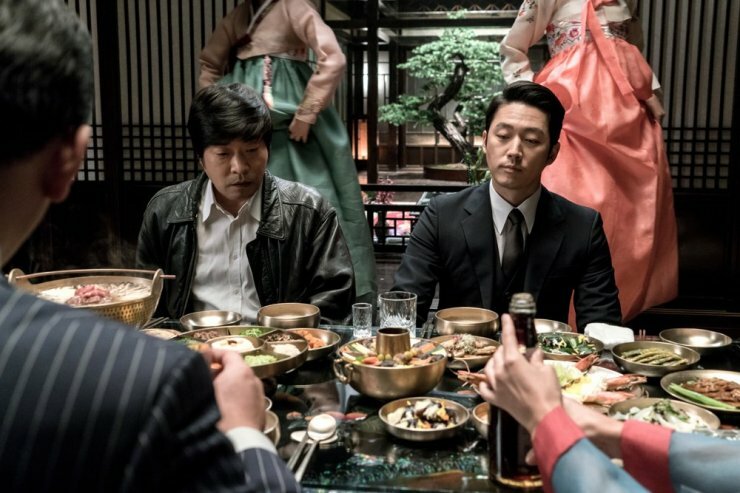 S. Korean films that criticize the connection among politicians, the press, and the police seem to have taken over from the crime thrillers and the war films that used to dominate the country's box office. Kim Bong-han, in his second attempt at a feature film, deals with this particular theme, in rather dramatic fashion. The story takes place in 1987, where detective Seong-jin lives a sad life, being poor and having a mute wife and a son with a handicapped leg. At that time, he arrests a man for a number of serial killings. Soon though, he realizes that the man is not the actual perpetrator, although not completely innocent. At that point, the National Security Planning chief, Choi Gyu-nam enters the scene, asking Seong-jin to fabricate elements in order to convict the man he has caught. As he introduces him to a circle of high officials, Seong-jin is offered money, that will help him move into a two-storey house, a lifelong dream of his and his wive's, and an operation that will help his son walk again normally. Chu jae-jin, a reporter and one of Seong-jin's best friends, manages to get information on the corruption of Choi and his friends, and Seong-jin is tasked with helping his higher-ups find him and shut him up. His choice on the matter is equally life changing with his previous one. 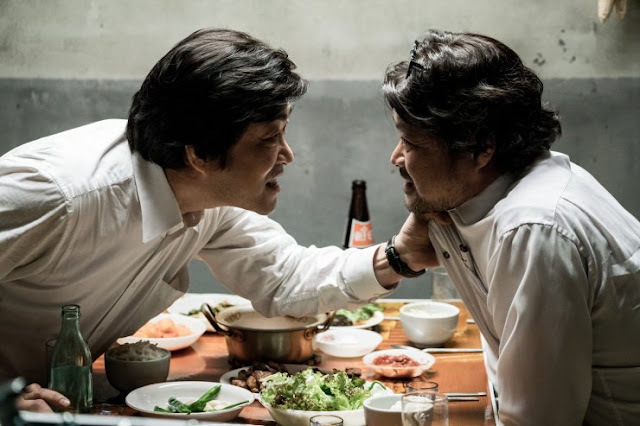 Kim Bong-han directs another film that deals with the corruption in S. Korean authorities; however, his approach centers on the individual, rather than the corruption itself. In that fashion, Seong-jin is placed in the midst of all the events occurring, with him having to face a number of moral dilemmas that force him to choose between his family, his friends, and his integrity. The crashing impact these decision have on him is, actually, the main point of focus of the film. The concept of the movie follows the usual path of starting as funny and relaxed, but becoming more and more dramatic as the story progresses. Kim Bong-han builds this path elaborately, with the editing and the fitting music playing a major role in the general sense each scene emits. However, at some point, he seems to lose his sense of proportion in favor of the drama, both in terms of story and production values, with the film becoming melodramatic after a fashion. This fault (which is quite common in Korean cinema), however, does not have such a big impact in the general sense of entertainment the production emits. Considering the character-based nature of the film, Son Hyun-joo had a very difficult role as Seong-jin, a man who has to contradict himself a number of times in rather torturous (psychologically) fashion, and he delivers impressively, anchoring the film, for its most part. Jang Hyeok is also quite good as the "noble," creaseless villain, who will not stop in front of anything in order to achieve his goal. Kim Sang-ho as Jae-jin suits the aesthetics of the film to perfection, starting as a mischievous reporter with a purpose, but transforming into a very dramatic character as the story progresses, much like the film does. "Ordinary Person" is not a masterpiece and actually is a film that goes with the current flow of S. Korean cinema. However, through its direction, story and acting remains a very entertaining film that all fans of the country's cinema will enjoy.